Blackrock College was founded by Pere Jules Leman CSSp. and, in over 150 years since that time, the Spiritans (formerly Holy Ghost Fathers) have done Ireland an enormous good service, through the generations, in building the College into the institution it is today. The College is still home to a strong Spiritan Community, headed by Fr. Tom Nash CSSp., which plays an active role both in the College and Willow Park and in the wider local community. 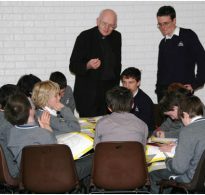 Members of the community contribute enormously to the day-to-day life of Blackrock College and Willow Park, particularly in the areas of Pastoral Care, Spirituality and Counselling. 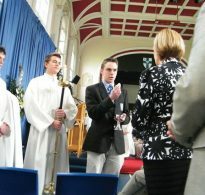 In addition, the College Spiritan Community carries out work in and for many hospitals, chaplaincies, parish ministries and prayer groups outside the College, continuing a long tradition which stretches back to the mid-nineteenth century.